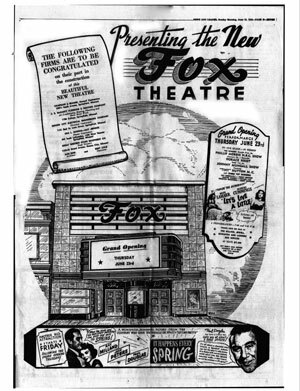 The historic Fox Theatre in Springfield, MO, has been a staple of the square for longer than most Springfieldians can remember. 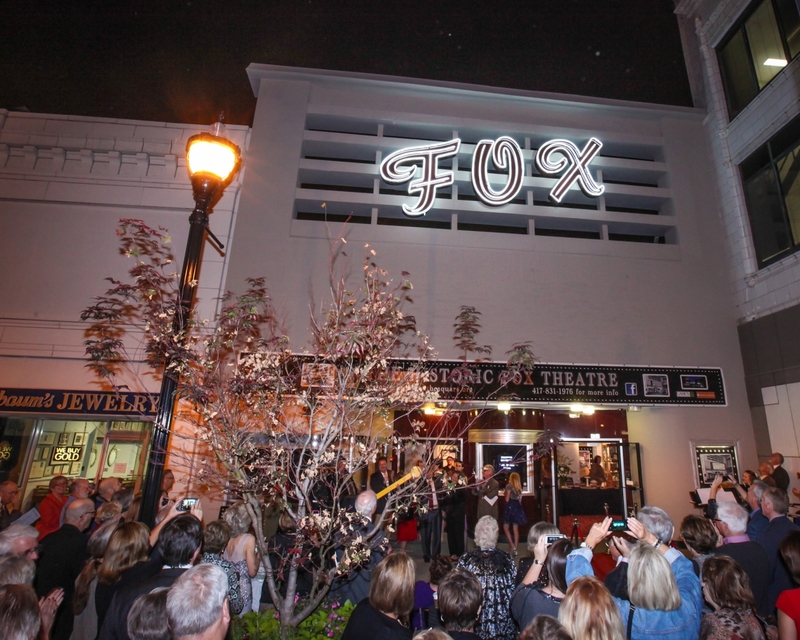 From its opening in 1916 as a movie theater to its new life as a beautiful history museum space, the Fox Theatre has seen countless changes in its century of life. The detailed history of the theatre tells a story of innovation and development over many years. The story of the Fox Theatre starts in 1913, when much of the Square downtown was burned in a massive fire which began in the Heer’s store and spread to much of the northeast corner of the Square. Three years later, as the Square was just beginning to rebuild and renovate, the Electric Theatre chain out of Kansas City purchased the space to use as a movie theater. The theatre was claimed to be “without a doubt the nicest theatre in South Missouri” at the time of its opening. Interior designers were called in from Kansas City to ensure that the theatre was the height of fashion. Local artist Oliver J. Corbett was commissioned to design and create the decorative painting for the interior of the beautiful new theatre. Vaudeville acts were performed at the theatre along with the “feature pictures” of the time. The theatre even advertised shows on streetcars that rode around Springfield, MO. In one photo, those on the streetcar dressed like Charlie Chaplin to invite people to the upcoming film. In 1930, the Electric was bought out by Paramount, who owned the theatre for four years. 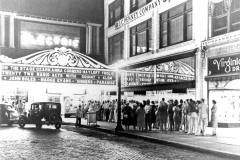 After its short stint as a Paramount theater, it was then sold to the Fox Theatre chain. The chain also owned the Jewell Theatre downtown, which would later become home to the famed television series Ozark Jubilee. 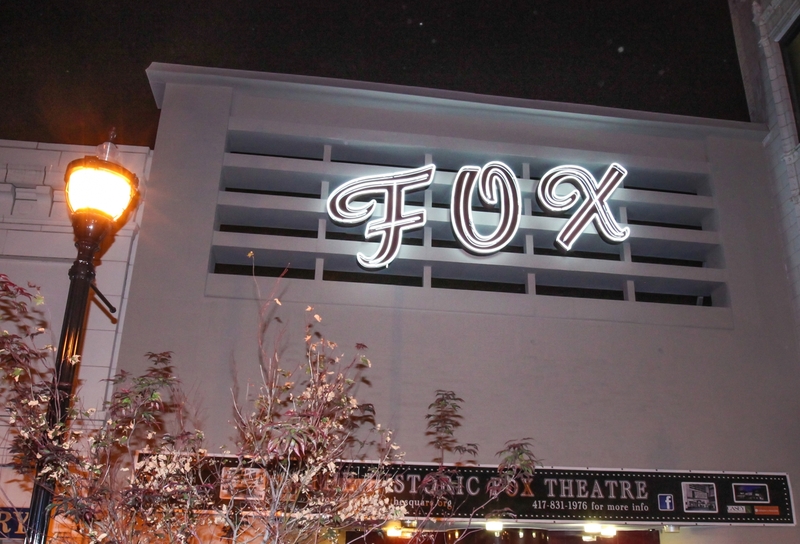 After the former-Paramount theater was sold back to the Fox chain, the name was returned to the Electric. 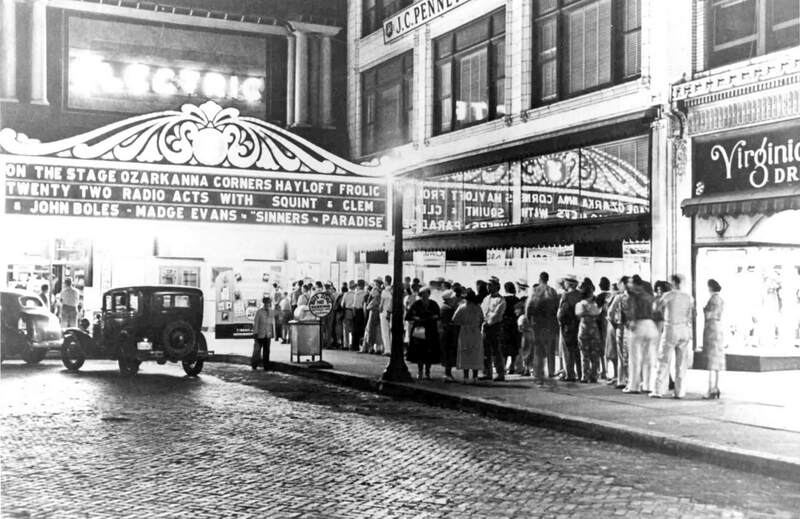 This was unlike all other theaters in the chain – which were usually called Fox – however, it seemed Springfield yearned to go back to the Electric. In the early 40s, Fox was running the Jewell Theatre and the Electric Theatre as two of the big picture houses in downtown Springfield. The company had one projectionist per theatre as a cost saving measure. This did not sit well with the projectionist union from Kansas City, who insisted that movie theaters have two projectionists per theater. 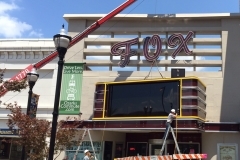 Fox responded to this by closing the Jewell Theater from 1941 to 1947, keeping the Electric open. 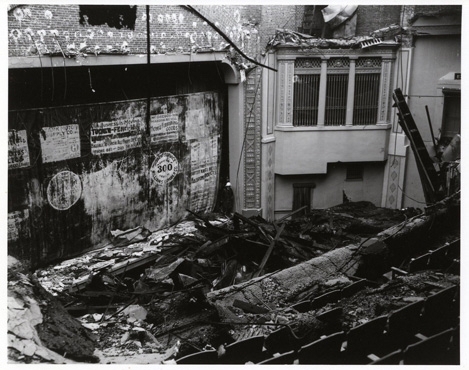 Disaster struck in 1946 when a fire destroyed a large portion of the theater. In early December, two flames occurred at the site of the theatre, one occurring at the trash barrels and a later one that decimated the theater. The first fire was reportedly extinguished before the second, more dangerous flame began. 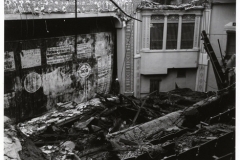 The manager of the theater and the fire chief disagreed about the cause of the fire; the fire chief argued it was two separate fires that had no connection, and the manager argued that the first fire was not properly disposed of, causing embers to catch the wood beams of the theater on fire. The roof of the theater burned through, causing massive damages inside the building. The theater was closed for two years to renovate, leaving the Jewell Theatre as the only Fox theater for that time. The Electric reopened as The Fox after the fire to great fanfare. 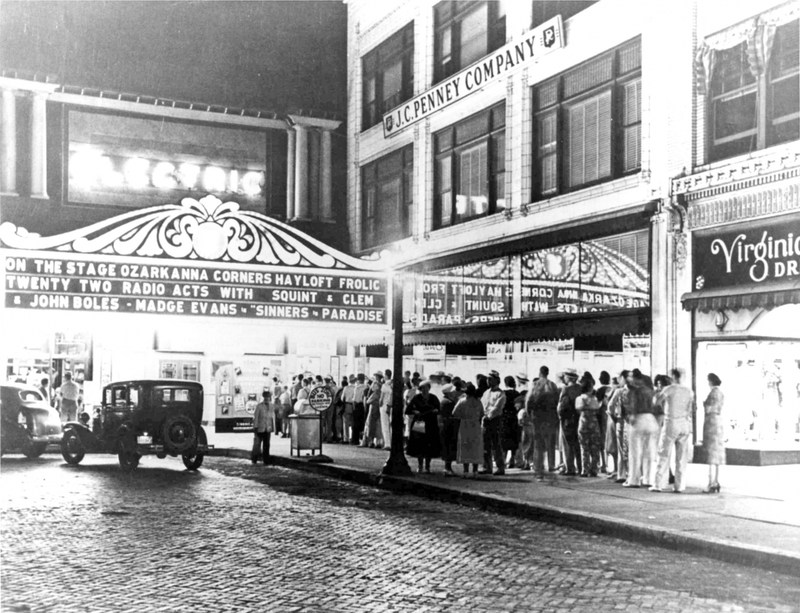 The theater continued to be one of the major first-run theaters in downtown Springfield up until its closure in 1982. 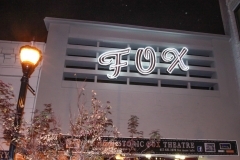 In its time, the Fox was known for its family friendly features and its tendency to be the debut spot for Disney films in the Queen City. 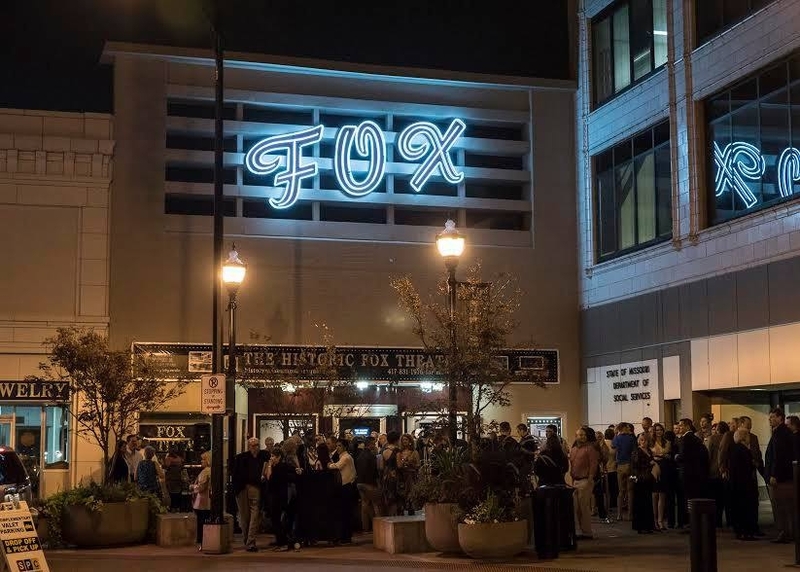 In 1985, the Abundant Life Church found their home at the Fox Theatre and remained there until 2014. 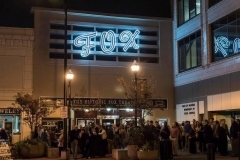 In 2014, the History Museum on the Square moved in to the Fox Theatre so that construction could begin on the Museum’s new gallery space in the former Barth’s building and Sherwood law office. The History Museum will continue to preserve the historic Fox Theatre and home of the beloved George Kieffer murals. 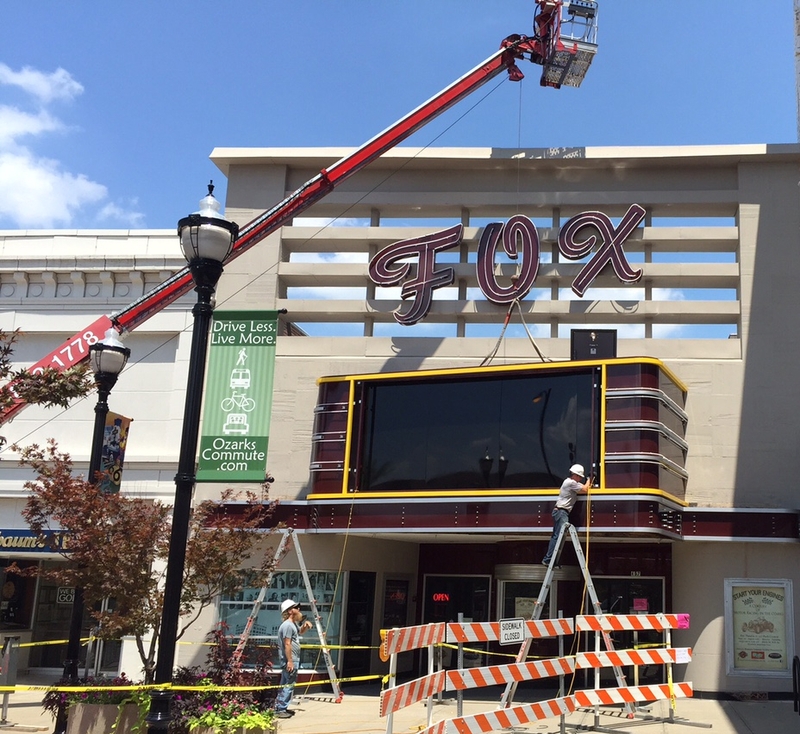 As the museum expands and grows, the Fox will continue to be an integral part of this development. 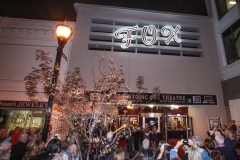 Currently, the Fox is utilized for a variety of purposes including displaying exhibits, hosting concerts and lectures, and serving as an event rental space. Be a part of the story of History Museum on the Square by financially supporting our vision. All contributions made go directly to the museum’s development and preservation of history in our community. History Museum on the Square is a 501c3 nonprofit organization and all donations are tax deductible. Copyright © 2018 The History Museum On The Square. All Rights Reserved.